The Ozark region is known by many travelers as one of the best vacation spots in the Midwest because it’s in this place where you can enjoy exciting land and water activities, thrilling outdoor adventures, museums, parks, shopping and dining opportunities, and world class entertainment shows including some of the best tribute shows in Branson. These tribute shows in Branson will let you travel back in time when you watch “Take It To The Limit – A Tribute To the Eagles,” “ABBA Tribute – Thank You For the Music,” “Elvis Live by Jerry Presley,” “Bad Moon Risin Creedence Clearwater Revival Tribute Show,” “George Strait - A Tribute Starring James Garrett,” “A Neil Diamond Tribute,” and so much more. “Take It To The Limit – A Tribute to the Eagles” is one of the most exciting shows to spend the evening in Branson. 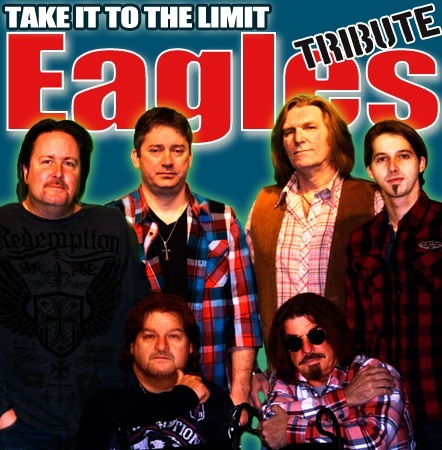 Beautifully located at W. Hwy 76 in Branson, this exciting live show at Tribute Theater features all of your favorite hits from the Eagles and performed by some of the top musicians and singers in the music industry. The tribute band that gives honor to the famous group is made up of incredible performers, vocalists including Brennan Crim, Robbie Danna, Larry Holiday, Eric Rankin and Greg Morton. Each performer brings something original, allowing you to travel back in time to the first time you heard a song from the Eagles. Some featured songs during the tribute show include incredible hits of the Eagles such as “Desperado,” “Witchy Woman,” “Seven Bridges Road,” “Take It Easy,” and even “Hole in the World,” off with the newest album of the Eagles. This tribute show has played around the US for several years, and has featured innumerable performances of this Hall of Fame singing group. There’s really no other way to spend the best time in Branson than hearing the timeless hits of the Eagles. “ABBA Tribute – Thank You For The Music” is another exciting tribute show in Branson that gives tribute to the incredible Swedish pop group ABBA which includes beautiful rendition of favorite songs such as “Dancing Queen,” “Waterloo,” “Take a Chance on Me,” “Mamma Mia,” and many more. On the nostalgic musical journey, the show will re-live moments of the past with ABBA’s truly timeless hits when you hear the classic songs of ABBA performed with a modern twist that are sure to delight audience members of all ages. This fascinating ABBA tribute show will let you fall in love with their unique music all over again. So, don’t miss to see this fabulous tribute show in Branson as it will let you travel back in time when these artists perform classic songs of the favorite Swedish pop group. Enjoy the modernized versions of ABBA songs, 4 part harmonies, and comedic history about ABBA during this amazing tribute show that will take you to the edge of your seat as you keep clapping your hands. Elvis Live by Jerry Presley is another exciting tribute show to watch at God and Country Theater located at W Hwy 76, Branson, Missouri. As Jerry Presley, Elvis’ cousin, honors the King with this amazing tribute show, he throws as well a few of his own gospel tunes that will have you up and dancing in your seat till the end of the show. Jerry already had performed his very first show in Branson in 1985 and he has earned credit for the most convincing Elvis impersonator ever since, though numerous others have tried through the years. Jerry Presley has earned accreditation for performing as Elvis’ original backup singer for over 25 years, including groups like The Stamp Quartet and The Jordanaires. This popular impersonator will perform a tribute show in Branson with a fantastic Vegas-style show, packed with high-energy act and convincing performances he has earned from the King’s concerts in Madison Square Garden and Aloha from Hawaii. Jerry Presley has some additions to this tribute show such as his own gospel songs that will amaze you how talented he is, as well as letting you stand on your seat and making you dance and sing along to each of your favorite songs of Elvis. 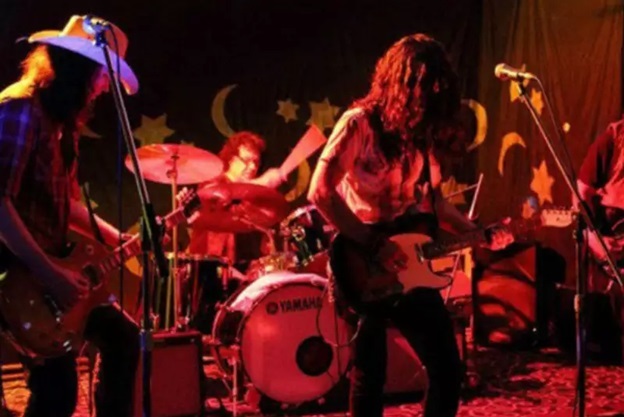 Bad Moon Risin Creedence Clearwater Revival Tribute Show in Branson will play all your favorite Southern-rock tunes and will make you think that the ones performing on stage are the real Creedence Clearwater Revival. The incredible musicians of this two-hour show will transform the stage into a mesmerizing concert tribute to a band that have already offered so much to their fans and other musicians. In this tribute show, you can listen to hits like “Proud Mary,” “Who’ll Stop the Rain,” “Susie Q,” “Run Through the Jungle,” including CCR’s world famous hit, “Have You Ever Seen the Rain” and much more. You will also learn about the lives and careers of the band members, including their origins in San Francisco to the success of the CCR that we know and love. This amazing tribute show will let you reminisce the songs of CCR in the 60s and 70s during the time that they wowed audiences around the world with their unique musical style, with a combination of roots rock and blues genres. With lyrics about catfish, bayous, the great Mississippi, and the South, CCR developed Southern rock style and influenced many genres of rock, grunge, roots rock with their fantastic sounds of their music that were still a staple of American radio. George Strait – A Tribute Starring James Garret is a tribute show hosted at the IMAX Entertainment Complex located at Shepherd of the Hills Expressway in Branson. This incredible tribute show brings you the combined musical talents of James Garrett, gospel singer/songwriter Randy Plummer and national Dobro champion, Jim Glaspy. This talented group of musicians will perform hits by George Strait. George has topped the country music charts with many number one hits over the course of his illustrious music career. Some of the hits that you will hear at the tribute show for George Strait include “Oceanfront Property,” “Write This Down,” and “Amarillo by Morning.” You will also hear from talented tribute singers songs from the legendary Patsy Cline, including such favorites as “Crazy” and “Sweet Dream.” George Strait – A Tribute Starring James Garret provides you with small and intimate setting for you to enjoy your favorite tunes of country legends. This is such a memorable musical performance that you don’t want to miss on your trip to Branson. A Neil Diamond Tribute Show at the Historic Owen Theatre in Branson captures the essence of Neil Diamond so fantastically, that you don’t think it’s a tribute performance and you are watching the legend himself. See the tribute artist Keith Allynn that weaves the intricate story of Neil Diamond’s life through songs from the 60s through today. You’ll also hear the impersonator’s story, from a beginning as a stand-up comedian opening for comedians such as Chris Rock, Tim Allen, and Robin Williams. With this talented impersonator, you’ll love hearing all of Neil Diamond’s hits like “Song Sung Blue,” “Hello Again,” “Brother Love,” “America,” and of course “Sweet Caroline.” In addition to Keith’s uncanny Neil Diamond act, he has also captured the true essence of Elvis Presley, landing himself on Graceland’s Top Ten Elvis Artist list. Many of the tribute shows in Branson are sure to let you reminisce the great music of the legendary artists letting you travel back in time as you hear their classic songs.